A range of self-adhesive frames4docs which are designed for easy and prominent document display, also great as photo picture frames and Certificate holders, etc. All supplied in packs of 10. Tags: self-adhesive, 5S Coloured holders, self-adhesive frames4docs, Document Display, Permanent document holders, Certificate display frames. 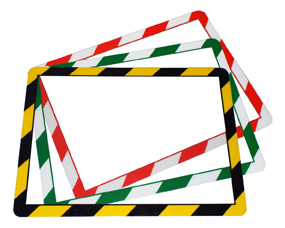 Self-adhesive Frames4docs are a unique range of colour coded frames designed for easy and prominent document display. 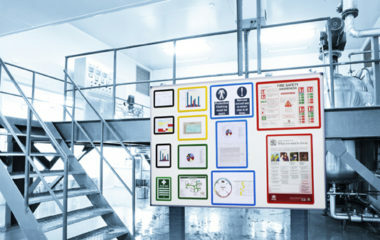 Perfect for use in offices, shops, libraries and throughout the workplace to display all types of literature, certificates and information. 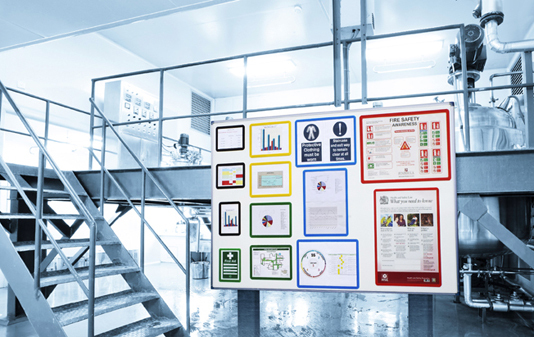 Frames4docs are ideal for the portrayal of important information that needs to be shown prominently and act as perfect reminders for all staff in 5S and Lean Manufacturing. The adhesive Frames4docs have a permanent, aggresive adhesive that has been selected to adhere to most sealed surfaces. 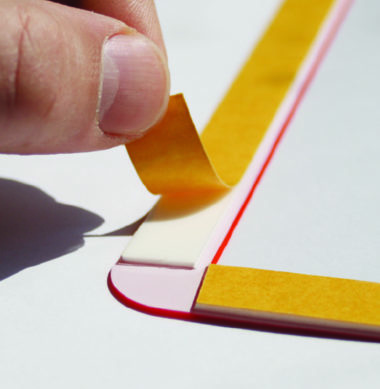 This design allows for documents to be easily changed when required.